Legal Malpractice Insurance Family Lawyers, Attorney Liability Insurance, Family Lawyers: aggressive comparison shopping to find you the broadest coverage at the best price. ‘A+’ insurers. Free quotes. 1-page application: download below or apply on-line. We’re Lawyers Insurance Group, legal malpractice insurance brokers. Our mission is to obtain the best terms that are available in the market for every law firm. We accomplish this by scouring the market on firms’ behalf, leveraging our access to dozens of “A”-rated legal malpractice insurers. We also provide attentive service, expert advice, strong coverage advocacy if you incur a claim, and a monthly premium payment option. Fill out our on-line application to receive no-cost, no-obligation quotes. We’ll send your firm’s application to all viable insurers, based on its risk profile, contact you when we receive their quotes, and answer all of your questions. It’s a low-key process, without any sales calls or pressure. A. The first step is to complete an application, either online or by downloading it. 1. Focus on the practice areas grid, which asks you to allocate your billings by percentage per practice area, i.e., 30% family law, 20% personal injury law, etc. Your answers will greatly affect the premium. If your firm has been open for a year or more, then fill out the grid based on your gross billings for the last 12 months. If it’s been open less than 12 months, fill out the grid based on your billings to date, plus your projections for the remainder of your first 12 months. The application asks when your firm was founded, so the insurers will know if your figures are projections, and they won’t penalize you, if your projections turn out to be inaccurate. When your policy renews next year, you’ll have a year of data, and will be able to report your practice areas accurately. Your coverage won’t be restricted to the practice areas that you list on the application. 2. Also focus on the questions that ask about your docket/calendaring and conflicts-checking procedures, and if you use engagement letters, etc. You won’t get quotes unless you have at least basic risk management procedures in place, so don’t apply until you do. Even if you don’t handle litigated matters, and thus don’t need a docketing system, you’ll still have deadlines to meet, and the insurers will expect you to use a primary and back-up calendar. If you answer the questions “no”, i.e., you don’t use any calendaring or conflicts-checking tools, or a retainer agreement or engagement letter, then every insurer will decline your application. See #19 on our FAQs page for a list of acceptable tools. Some manual tools are listed, but computerized tools, i.e., practice management software, are preferred. B. After you submit your application, we’ll review it for completeness and clarity, and contact you if any revisions are needed. C. After your application is finished, we’ll send it to the insurers, and request proposals at different policy limits and deductibles, so you can compare the cost to the coverage, and make the optimal choice. We’ll also send you an explanation of policy limits, so you’ll be able to properly evaluate the insurers’ proposals, and choose the appropriate limits for your first policy (see #7 on our FAQs page for more information). D. After all of the insurers have responded, which generally takes 3 – 5 business days, we’ll send you a summary of their proposals, highlighting the best ones. E. If you want to accept any of the proposals, you’ll have to complete several forms for the “winning” insurer, which we’ll assist you with. We’ll also send you a copy of that insurer’s policy, if you request it (visit our Policy page to review the major insurers’ specimen policy). F. After the insurer has reviewed and approved your documents, which is usually routine, but occasionally requires additional information, it will offer you binding quotes, which should match or be very close to the proposals. If you accept any of the quotes, then your coverage will be in place. G. The final step will be to pay the premium. You can pay the entire premium upfront by check, or finance it: pay 15% down and the balance in 10 monthly installments, plus modest finance charges. Note: the insurers don’t accept credit cards, due to the fees charged by Visa, etc., but you can pay by card, if you pay the fees. We’ll gladly answer any questions that you have at any step in the process. Does your firm have the best possible terms on its malpractice insurance, i.e., the broadest coverage at the lowest price? Maybe. Or maybe not: perhaps it could obtain the same coverage and limits for a much lower price, or broader coverage and higher limits for the same price. The only way to find out is to test the market. That’s where we come in. We scour the legal malpractice insurance market, to find the broadest coverage at the best price for every firm, leveraging our relationship with CNA, Travelers, and other ‘A’-rated insurers. We submit each firm’s application to all viable insurers, based on its risk profile – typically 8 – 12 – and obtain proposals at the firm’s current terms, and at policy limits one or more levels higher. If the best proposals are close, we solicit another round of proposals from the ‘finalists’. This aggressive comparison shopping lets us consistently obtain much better coverage and pricing for firms than they currently have. Keep in mind that more than a dozen major insurers cover Family law firms, and they compete fiercely for good risks. If your firm hasn’t incurred a claim in five or more years, and hasn’t shopped for competing quotes in two or more years, then one or more of those insurers will likely offer it much better terms than it currently has. Westport, Zurich, and Aspen usually offer the best terms to Family law firms. To obtain no-cost, no-obligation quotes from these and other ‘A’-rated legal malpractice insurers, send us your most recent application, or complete our short application, either online or by downloading it. We’ll help you compare the competing quotes to your current terms, and make the best decision. There’s no risk, and a potentially great reward. 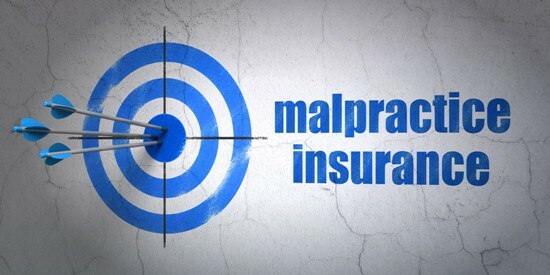 A 4-lawyer firm contacted us to obtain competing quotes, after its malpractice insurer offered it a renewal quote of $10,587. The firm’s current premium was $9,646, for policy limits of $500,000 per claim/$500,000 for all claims, and a deductible of $5,000 per claim. We sent its application to 12 “A”-rated insurers; eight offered quotes. The best quote was $7,853 for the same terms as the current policy. We had also solicited quotes at higher policy limits, and the same insurer quoted $9,472 for limits of $1,000,000/$1,000,000. The firm accepted it, and thus doubled its limits for less than its current premium, due to our aggressive shopping. We’ve obtained similar results for many other Family law firms. Can we do so for your firm? The only way to find out is to send us an application, so we can obtain proposals for you. Legal Malpractice Insurance FAQs – Coverage, Limits, Cost, etc. (202) 802-6415 or ccooper “at” lawyersinsurer.com. If you’re ready to get the best terms on your firm’s malpractice insurance, fill out our on-line application, or download, fill out, and return this one-page premium estimate form for Family Law practitioners. It will give the insurers enough information about your practice to offer “ballpark” terms, without your having to complete a full application. We’ll send your form to all suitable insurers, and contact you as they respond. If you like any of the estimates that we obtain, then you can complete a full application and provide any other information that the insurer needs to offer you a firm, final proposal. The premium of the final proposal usually matches or is very close to the estimate. • If you filled out an application or premium estimate form for another broker or any insurer, you can send us that, instead of filling out the premium estimate form. • All proposals that we obtain for you are no-cost, no-obligation. If you accept any of them, then the insurer that offered it will pay us a percentage of the premium as a commission. That’s our only compensation; we don’t charge any fees. We thus have every incentive to find you the best terms available in the market. Established firms of all sizes and in all practice areas, including high-risk practice areas like Securities, Sports/Entertainment, Real Estate, IP, and Personal Injury/ Medical Malpractice/Class Actions. Special situations: law firms that have had their legal malpractice insurance can-celled or non-renewed; are merging or disbanding; are in or emerging from bankruptcy; etc.